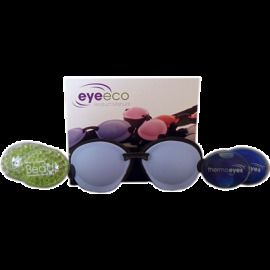 Tranquileyes™ eye hydrating therapy is a natural way to bring immediate and lasting relief to dry, irritated eyes. The primary component of the tranquileyes system is a soft, flexible eye cover (goggle) made from a medical grade, flexible rubber material that is FDA approved. Adhered to the goggle are two eye cushions made from visco-elastic foam that are specially designed to form to the face when warmed by body heat, which helps control the temperature and humidity around the eyes. Inside each side of the eye cover is a moisture pad made from the same visco-elastic foam as the outside cushions. The moisture pads are designed to be removed from the eye cover, placed in warm or cold water, and then inserted back into the eye cover. When used with warm water, tranquileyes help stimulate tear production and prevent the evaporation of natural and/or artificial tears. When used with cold water, tranquileyes help soothe mild puffy eyes. 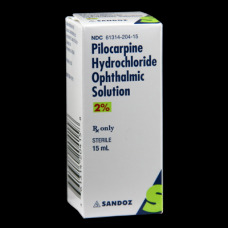 The system can also be used simply to create complete darkness and protect the ocular surface at night. The Pro Pack is available with standard foam or foam for sensitive skin. The standard foam comes with a smooth fabric covering. The sensitive skin foam does not have the extra fabric covering because the adhesive used to affix the fabric to the foam may be irritating for individuals with sensitive skin. Every Pro Pack also includes a manual and a poly bag. The Pro Pack is intended for professional use only as a way for ophthalmic professionals to experience first-hand the benefits of the tranquileyes system. It is not intended for resale to patients.